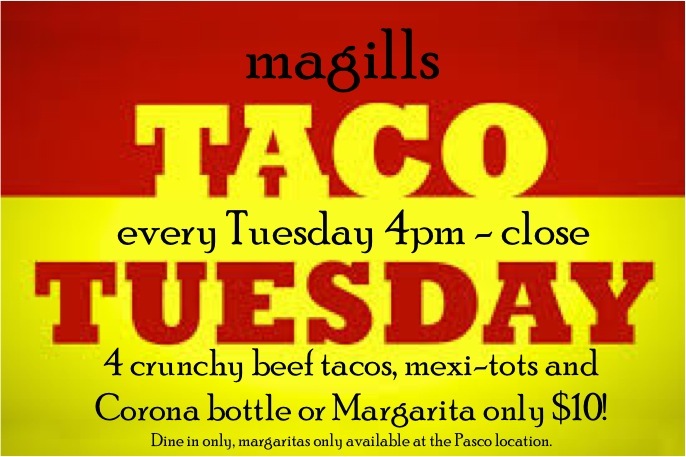 It’s Taco Tuesday at Magills Pasco! This entry was posted in Food!, Specials and tagged beer, dinner, food, kennewick, Magill's, margarita, Pasco, Richland, taco tuesday, tri-cities, wa, washington, washington wine. Kids Eat Free Monday Nights at Magills!